A panoramic view from a beautiful sunny walking week walk in the far north of Islay. The walkers on the left are on their way to Rhuvaal lighthouse, just peeking over the low hills. Across the northern end of the Sound of Islay goes to Jura with the entrance to Loch Tarbert on the left and the Paps of Jura just right of centre. An impression from an Islay walking week a number of years ago. 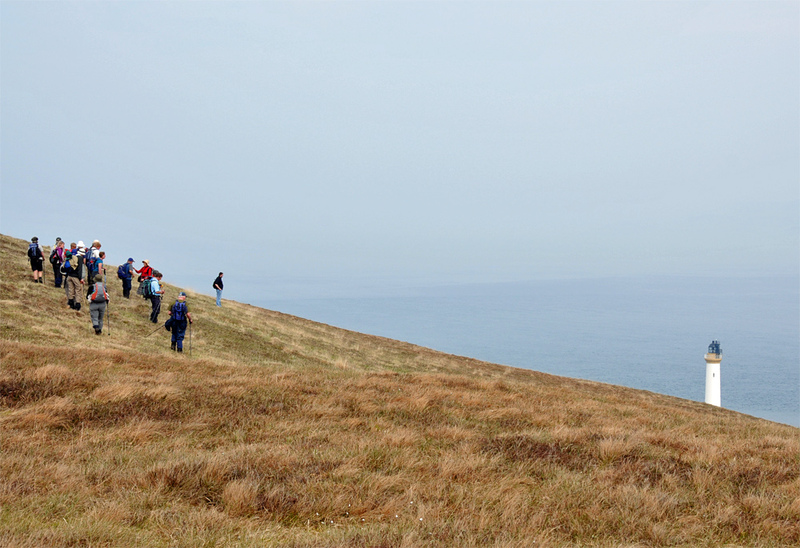 The walk took us onto a hill above Rhuvaal lighthouse on a hazy April day. On a clear day Colonsay and even Mull would have been visible across the sea, on this day the haze spoilt the view. A view from the track out to Inver on Jura, looking out over the Sound of Islay. 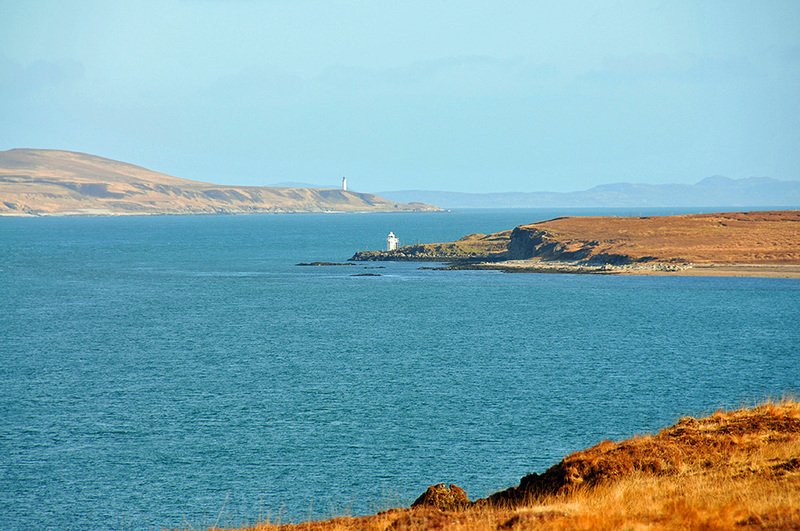 On Jura the small light at Carragh an t-Sruith. Behind it the much larger lighthouse at Rhuvaal on the northern tip of Islay. Colonsay on the horizon.